A UC Santa Barbara study concluded that planting a home garden can cut carbon emissions to the atmosphere. However, if gardening isn't done right, it could actually contribute to greenhouse gas emissions, reported Nathanael Johnson on Grist.org. "We found that (gardens) could reduce emissions by over 2 kg CO2e kg−1 vegetable, but that results were sensitive to the range of values for the key variables of yield and alternative methods for processing household organic waste." The main reduction from gardening comes from diverting food waste from the landfill, where it rots and emits methane and nitrous oxide. Food waste must be properly composted to prevent the emissions. Planting a garden then forgetting about it ends up emitting more greenhouse gases than if you never started. 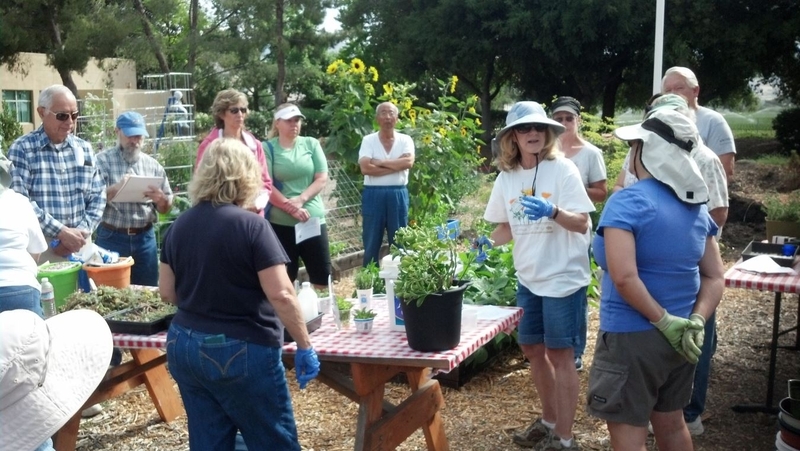 The article suggests that Californians contact their local UC Master Gardener program for assistance in properly managing a home vegetable garden. Johnson spoke to Kerrie Reid, the UC Cooperative Extension environmental horticulture advisor in San Joaquin County. "Reid doesn't abandon her plants midway through summer, and she doesn't over-plant and then end up throwing out dozens of thigh-thick zucchinis," Johnson wrote. "Sure, when the cucumbers peak, there are more than she and her husband can eat, she confesses, but they share with their neighbors. The neighbors also come over to harvest herbs from the sidewalk." The article said readers can find their own version of Reid by looking up a local UC Cooperative Extension Master Gardener program. UCCE Master Gardeners of Santa Clara County conduct sustainable gardening and hands-on workshops for the public.